Eleven years ago in Coral Gables, Florida, Nadia and I were married. 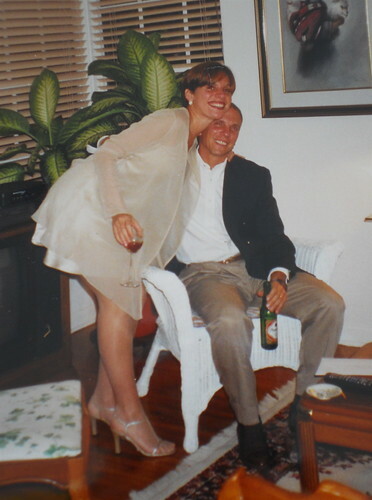 On September 17, 1999, we exchanged vows and became legally married at the Coral Gables District Court, one of the several Miami-Dade County locations to obtain a marriage license. 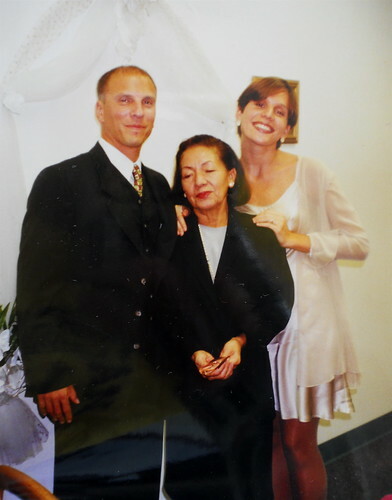 It was a short ceremony attended only by Nadia’s aunt Silvia and her cousin Arturo. For the sake of posterity and honesty, I feel after thinking about this blog post, to discuss a bit on why it didn’t work out for us in Michigan with the wedding. I found it strange my mother’s reaction to the idea of us getting married in Michigan. I thought that her oldest son getting married would be a joyous occasion, but she didn’t see it that way. I think it may have been that Nadia was so different from what she was used to. She was not from the upper midwest, or even from the US for that matter. It may have also been that I had been gone from home for 9 years. I’m not sure why she didn’t embrace the idea. She even told me that she wish we had gotten married in Bolivia. Nadia quite rightly was furious. I on the other hand didn’t have a reaction either way. I never spoke with her about it, but I did have some resentment over this. Well, that is all “water under the bridge” now and as I look back, the important thing is that our marriage is a solid one and so far, we are doing well and are happy. , so we then considered going to Las Vegas. When Aunt Silvia found out about this, she insisted we do it in Miami. She was staying with her son at the time, so we went down to Miami in September. We were waiting for my visa for Australia to come through as well as Nadia’s acceptance to an Australian university, so we had a semester off. Aunt Silvia made a nice dress for Nadia and her cousin Arturo and his girlfriend at the time, Suallapa, were gracious hosts and we had a nice dinner with them after the ceremony. We then went to Colombia for our honeymoon. We stayed at one of my favorite places in the world, the National Park Tayrona, a idyllic tropical beach and forest on the Caribbean coast of Colombia. Eventually we made it back to Michigan and finally arrived in Perth, Australia in February of 2000. Through our eleven years of marriage, we have lived in 4 different countries and have been blessed with 3 beautiful children. If I had to do it all over, I would marry her again. We are having a wonderful life together. Happy Anniversary Nadia – I love you! Thanks babe!! I just read this:) So cute!!! Of course I love you too!!!!! I can remember a thin Nadia, really just a youngster, in Santa Cruz and what a beautiful change and woman she has become. Nice to read a bit of the life story.We now live in Cambria, California on the Central Californian coast at the end of Big Sur. Our son Connor who was born in Bolivia has just turned 18 today. Janet taught in Kigali, Rwanda a few years ago and I was a traveling spouse which I enjoyed immensely and still return to Rwanda to help a friend and the first Rwandan campground. Where are you now?